Flexible wings hold the needle in position and prevent inadvertant pullout. 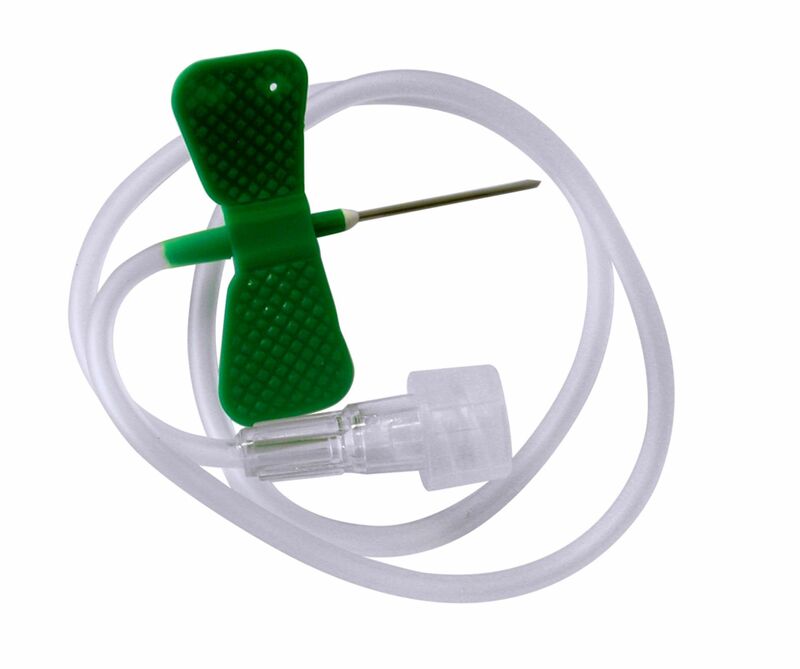 Thin stainless steel siliconized cannula for easy insertion. Steriziled with ethylene oxide and ready for immediate use. Latex free, individually packaged and color coded for easy identification. All sets have 12" tubing. FDA registered, CE Mark, ISO 9001 certified. 19g x 3/4" 20g x 3/4" 21g x 3/4" 23g x 3/4" 25g x 3/4" 27g x 3/4"
Take advantage of a bulk discount (save $.65 per box) by ordering by the case instead of by the box (10 boxes per case).